The new AirPods 2 has officially been on shelves on Apple Stores and other cooperated retailers. The first generation AirPods was successful in popularizing the true wireless earbud format. While an initial disdain was given for an unusual-looking design and high price point, AirPods has still become the most popular true wireless earbud model. According to Apple, the new AirPods 2 comes with a wireless charging case, longer battery life, smarter Siri assistant functionality. The question here is what’s the difference between the new and old generations? So that’s why I write this post to let you know the difference between them. It’s not denying that the AirPods made a new trend for true wireless earbuds to become mainstream. Despite released in 2016, they are still one of the best true wireless buds in 2019, until the new AirPods 2 is released. The upgraded Apple buds deliver faster connection times; longer talk time, and the convenience of smart Siri assistant. That said, what else has changed? 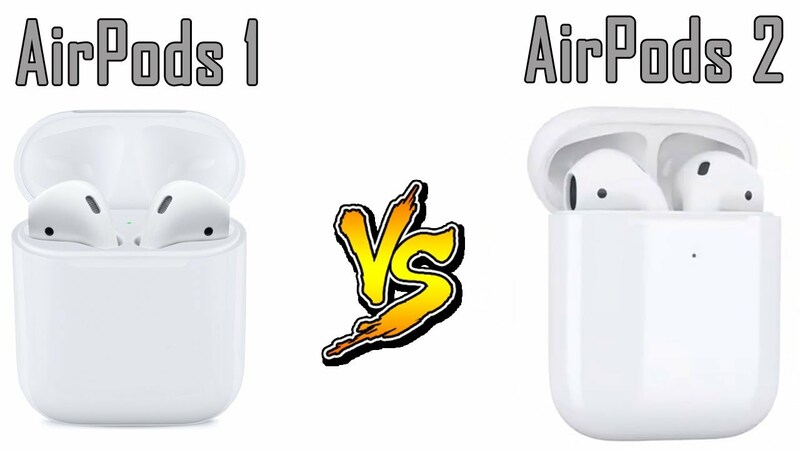 You just take a quick look, you will not see any difference in terms of design between the AirPods 2 and their predecessors. Apple still remains a distinctive style, the AirPods stick to this aesthetic rigidly, which users might probably love or hate. The original AirPods are inherited the classic EarPod design with only the cables removal, leaving the stem of the bud so that users can hang out of the ear. 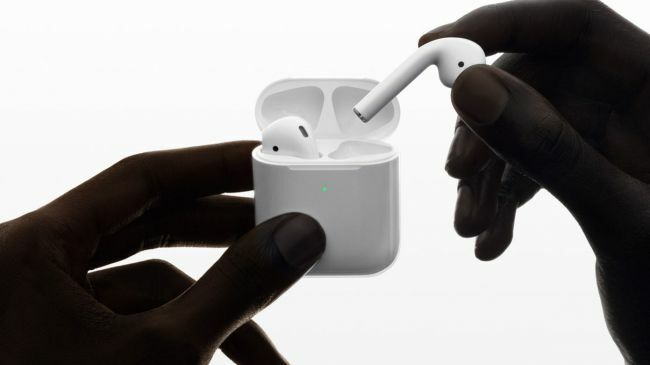 Likewise, the new AirPods 2 are completely cable-free, the battery is now drawn from a charging case, with stem-like protrusions from the buds. With this rigid design, you might not feel conveniences like replaceable silicone ear tips, which secure the original AirPods or the AirPods (2019) firmly. While the originals were relatively snug when I had a test, you could still wear them while going out. It’s a pity when the new AirPods are still white-and-silver buds, and Apple is not also planning to offer other color options like users wished they would. The AirPods 2 is nearly identical to the original ones in terms of dimensions and weights. Connectivity has always been the most valuable point when coming to true wireless earbuds. But AirPods already have its reputation for seamless pairing as long as you are using an iOS device or Mac. 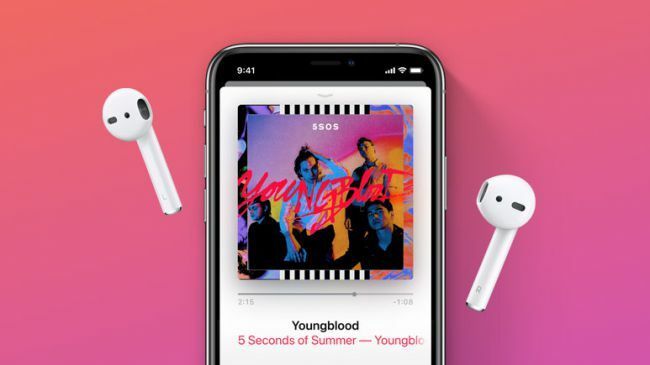 The new AirPods even come with even better connectivity, thanks to a new H1 chip, which is built in specifically for the headphones. 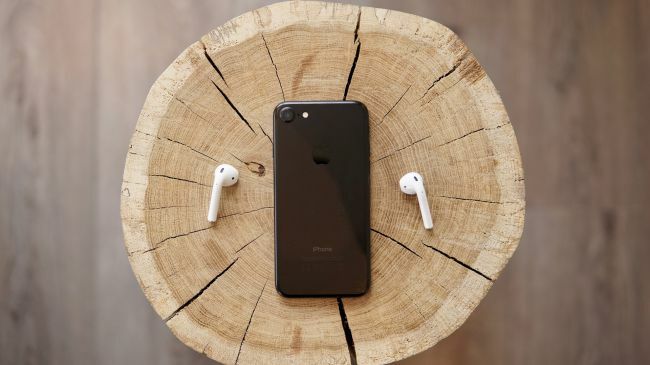 According to Apple, the connectivity, pairing times will be improved and speeded up, and especially increase the battery usage, giving you 50% more hands-free talk time, Apple statement. I tested the new buds, I found the pairing time was noticeably quicker. Another difference between the new AirPods is in Siri. On the first generation, you need to tap twice on an AirPod to turn on the digital assistant, while on the AirPods 2, you simply say “Hey Siri.” That means you use the AirPods hands-free, which is very helpful when you’re carrying an umbrella, or you’re driving. The first generation could reach five hours of battery life if the charging case charges them over four times. However, with the new H1 chip integrated the AirPods 2, you can get 50% more hands-free talk time, but in fact, I just get about 30% more talk time over my previous AirPods, which is an acceptable result. With the new wireless charging case alongside the AirPods, these true wireless buds can be wirelessly charged. You can use Qi-compatible charging mats to easily provide power for the case without needing to stick a cable in, which is in anticipation of Apple’s long-awaited release, Air Power charging mat. Even if you are using the original AirPods, you can still opt for buying the case separately for only $79 (£79) to enjoy the benefits of wireless charging. If you get the new AirPods 2 with the wireless charging case, you just have to pay $40 more than purchasing them with the standard charging case. Wireless earbuds have a bad rap when coming to the audio performance, but they are now getting better. While the original AirPods are old now, they still sound good, with lively and decent levels of bass. However, since it’s been three years old now, the treble frequencies sound a bit harsh. Apple did not improve the sound quality in the new AirPods 2 over the old generation, and most of the changes are concentrated on connectivity, battery life, and wireless charging. None of these buds offers the same kind of audio prowess that a good pair of over-ear headphones can be, but you will get the freedom of wireless connectivity for a less powerful sound. The new AirPods 2 is currently going on sale for $159/£159 with the standard charging case, and $199/£199 with a Wireless Charging Case bundled in. The new buds have the same price as the originals, which are no longer sold by Apple, but they are still available from third-party retailers. If you were looking for health-tracking tricks or fitness-focused features, Apple didn’t add these great features in its new AirPods 2, so you probably need to wait for the next AirPods generation.